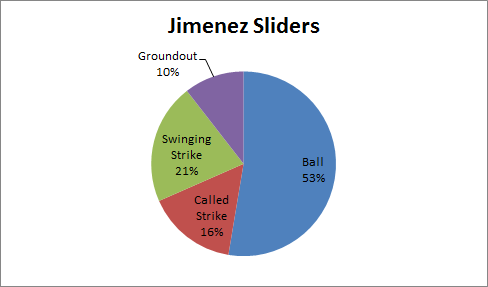 Home Uncategories What's wrong with Joe Jimenez's slider? 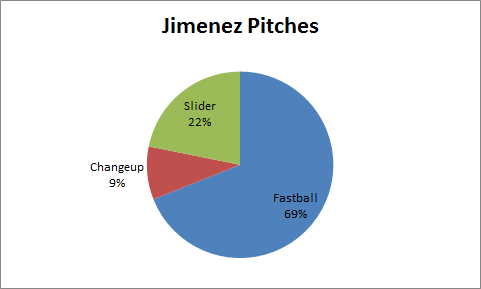 What's wrong with Joe Jimenez's slider? Well, this is not going very well at all. After two years of waiting for Joe Jimenez to bring his fireballing, batter-whiffing ways to Detroit, he finally got a more extended callup (think of it as a cup of coffee plus a pastry) and ... well ... vini, vidi, very-bad-place-for-that-pitch. In his second tour of duty, he managed in four outings to pile up two home runs, a 2.10 WHIP, and a 16.20 ERA. Give me a few minutes, I'm starting to cry again. It's ok, kids, Joe is going to be just fine. 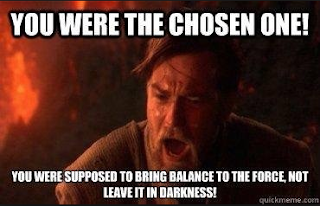 He's going to get everything all sorted out down there in Toledo and he'll be back before we know it, dominating batters at the plate like he was born to do. But let's just take a step back and look at why he's being sent down to Triple A, specifically with a mandate to start honing his slider. 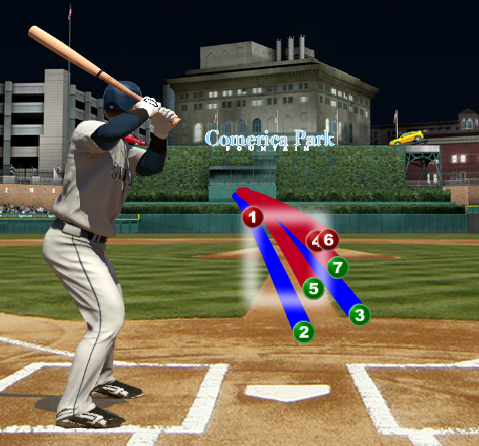 But seriously, that's too much fastball. He has to throw the slider more than 22 percent of the time if the fastball is going to be as overpowering as it should be. So why isn't he throwing more sliders? Spin that thing up there! No, not there, THERE. It's not a problem with his stuff, you know. 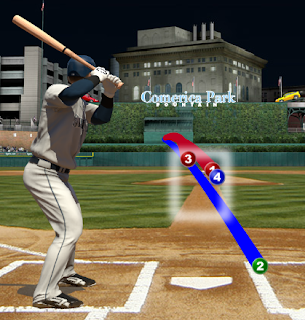 That slider gets the job done if it's anywhere near the strike zone, but that's the problem: it hasn't really been anywhere near the strike zone. 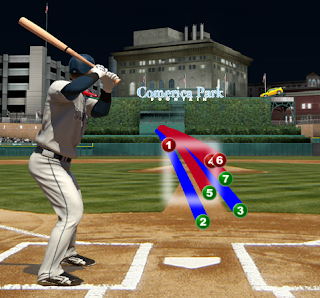 A slider with good movement is useless if that good movement is happening in the dirt. And after a while, as a pitcher, you probably just say "screw it, I'm going back to my 98-mph fastball and I'll just over-power these guys." Yes, it's still a very good pitch, which is why more than half of those pitches end up as swinging/called strikes or foul balls. 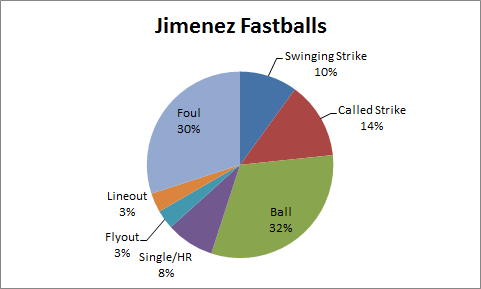 But it's also the pitch where all the damage is happening, including both of the home runs Jimenez has given up. Those lineouts weren't exactly comforting outs either. So it's back to Toledo for Joe, to work on that slider and see if he can throw it for strikes. It's not like he's hanging the pitch and getting killed on it, because, to beat the dead horse a little deader, it's a good pitch. Oh, and by the way, on his first outing back in Toledo this week, he racked up another three strikeouts. No big deal, that just brings his K/9 ratio up to eighteen-and-a-half. The kid's got the stuff to dominate at the major league level, there's no doubt about it. 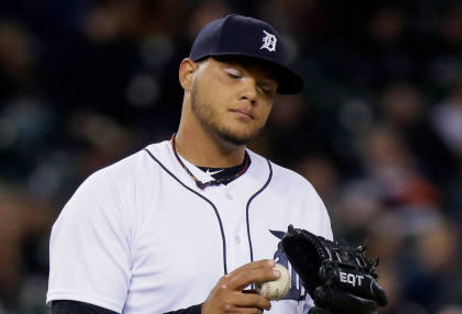 Let's hope he finds a bit more command with the slider, because we could really use a master strikeout artist in Detroit on a more permanent basis.